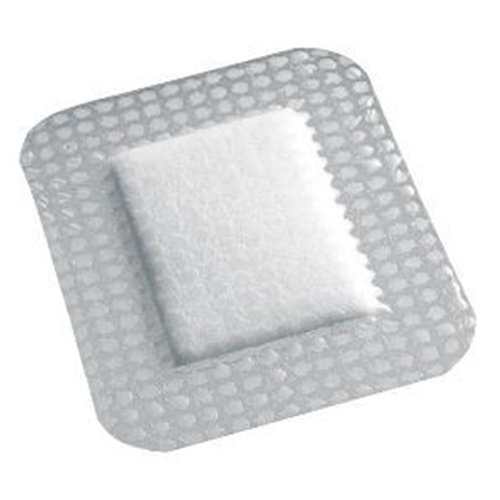 Opsite Post-Op Transparent Wound Dressing from HealthyKin.com is a post-operative dressing that combines the advantages of the highly permeable OpSite IV3000 film with an absorbent dressing pad to provide a superior dressing for wounds closed by primary intention, where a moist wound healing environment is unnecessary or even detrimental to healing. The OpSite Post-Op film is impermeable to water and body fluids, allowing the patient to bathe and shower without changing dressings. OpSite Post-Op has a unique molecular structure that 'switches on' in the presence of moisture, preventing accumulation of moisture underneath the dressing, which reduces bacterial growth and the risk of maceration. The thick pad is highly absorbent, minimizing the number of dressing changes whilst protecting the wound from further injury. The low-adherent wound contact layer leaves the wound site clean and comfortable, reducing pain when changing the dressing. OpSite Post-Op is highly conformable, even over the most awkward body contours. Its extensibility does not restrict movement, ensuring that it is comfortable for the patient.The unique dressing carrier keeps the film firm, allowing easy application. Great product at a reasonable price!!! One of the best dressings I have seen. Permeable yet water resistant. Highly recommended. The item is excellent for wound coverage. Does its job well. Will order more when needed.